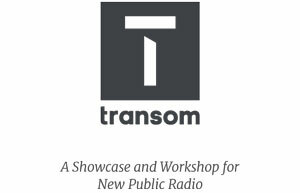 KUOW in Seattle, Washington is hosting a Transom Traveling Workshop It will take place from January 20th through 26th, 2019 and is for beginning radio producers. To apply, complete the application below. You can find details about the workshop here. If you have any questions along the way, write to info [at] transom [dot] org. Thanks for your interest. 2. Why are you applying to this Workshop and what are you hoping to gain? *This question is required. 3. Please tell us about yourself in a few paragraphs (400 words or so). *This question is required. 4. Please tell us about your prior experience recording, producing, or editing audio. If you don't have any, no worries. Just let us know. *This question is required. 5. If there are links to things you have produced that you would like to share, please do. If you collaborated on projects, please let us know your role. If you haven't produced anything, no worries. Just let us know. 6. You will need a computer (and, if you have one, an external hard drive) for editing. What type of computer do you have? Please include the computer's current operating system. For example, MacBook Pro with OS X 10.12. *This question is required. 7. Do you consider yourself tech savvy? Please explain. Which computer programs do you regularly use? Which others are you comfortable using? (i.e. Microsoft Word, Garage Band, Word Press, etc.) *This question is required.